Goodbye rain, snow, and cold weather! Lumon sunrooms and porch enclosures can be installed at any time during the year – and winter is actually one of the best times to install. The enclosed porch provides additional protected space at home, whether for hosting Christmas parties or storing your kids' hockey equipment, and there's less competition for an early installation date. The sunroom is also a great place to decorate for Christmas and celebrate the holiday season. You don't need to worry about tracking dirt into your home with the Christmas tree, or cleaning up the pine needles as the tree starts to shed indoors. Your home will stay clean, and you'll maintain a festive atmosphere. Christmas lights will create a warm and inviting atmosphere, especially during the dark winter evenings. The gifts can be stored there without getting underfoot, yet they'll be safe from wind and snow. It's the perfect setting for a comfy, cozy Christmas! A winter installation has its own special advantages. In the winter, the construction industry slows down, so the permit process often goes quicker, and installation crews can negotiate more flexible schedules. 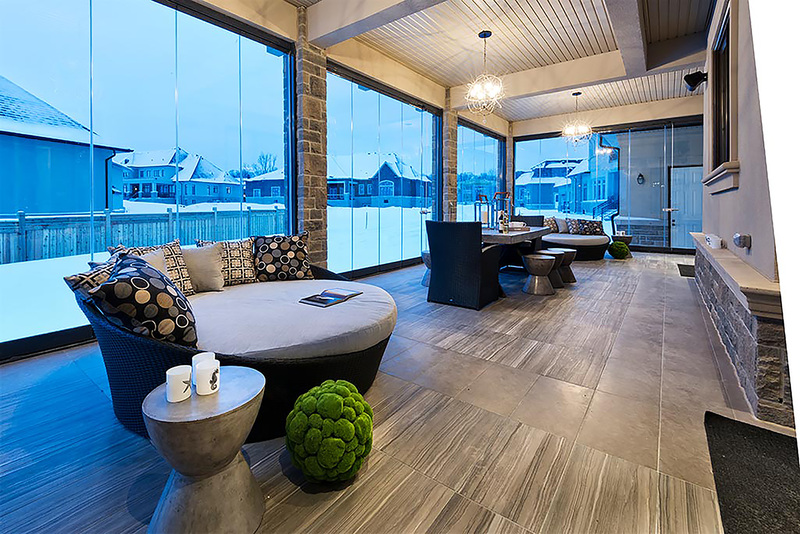 Rather than competing with the spring renovation rush, you can receive an express installation – and be out on your patio that much earlier in the year, sitting back and relaxing with your feet up in your new comfortable outdoor living space. When the rest of the country is still frozen, you'll be welcoming spring on your porch and getting a head start on planting your garden. A winter installation also protects the yard, as the colder weather ensures that the landscaping remains in good condition.